So tis morning I was trying to entertain my son. E was done wit is bouncer, activity gym, jumper, floor time, mommy time, etc, so I decided to try an infant computer game. A friend of mine said er daugter really loved tem, especially one tat does a peekabo wen you smack on te keys. We found te game and I let im smack away. Except, e didn’t smack. E grasped. E likes to scratc at tings. Well, tis time in less tan 2 seconds e got a letter in is grasp. Guess wat tat letter was? 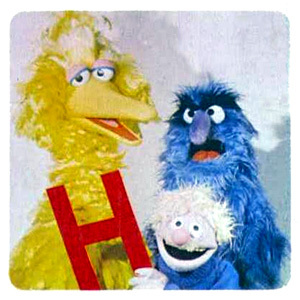 It was an “H”, mon’. I am able to insert H’s using my caracter palette but tat takes too long. So for now don’t expect a blog post from me. I could use our oter computer but I ate tem. Well, I didn’t eat it. I just ate it. mmmmmm…… tat doesn’t work so well. Tis Blog post is brougt to you by te letter…..
Reminding you ow important e is. Next articleErgo, how I love thee….